Don’t be Alarmed. He Has Risen! When the Sabbath was over, Mary Magdalene, Mary the mother of James, and Salome bought spices so that they might go to anoint Jesus’ body. Very early on the first day of the week, just after sunrise, they were on their way to the tomb and they asked each other, “Who will roll the stone away from the entrance of the tomb?” But when they looked up, they saw that the stone, which was very large, had been rolled away. As they entered the tomb, they saw a young man dressed in a white robe sitting on the right side, and they were alarmed. I don’t know about you, but if I was the one standing in that tomb to find Jesus had risen, I would have been freaking out. I would have ran away, trembling, too. Do not be alarmed, in other words, do not be afraid. In the Bible, “Do not be afraid”, and other variations of the phrase (don’t be alarmed, fear not, do not fear) appear a lot. One popular myth is that it appears 365 times, but it is closer to 150ish times. Fortunately for us, the disciples pushed through their initial reaction of fear. They went on to spread the Word, despite the fear of persecution; and they had very good reason to fear persecution. 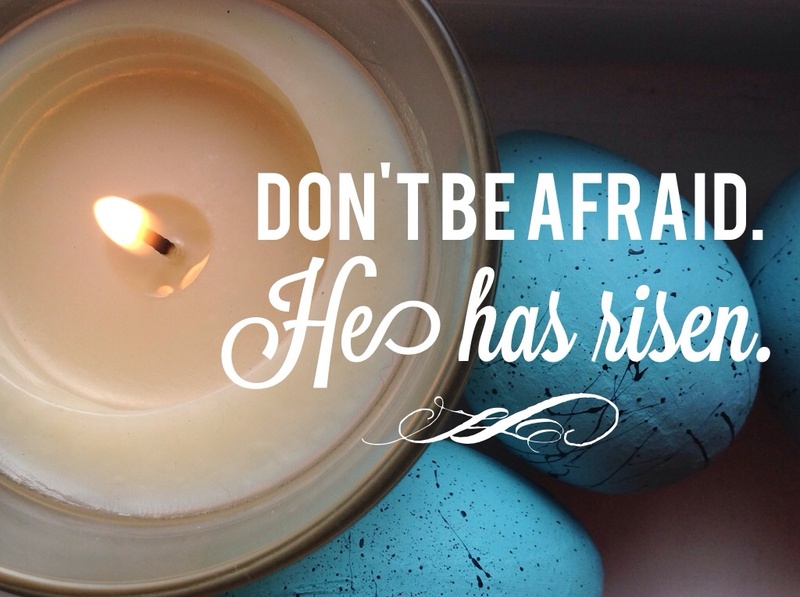 Today is Easter Sunday. Let’s take in the heaviness of that day. The day the women went to the tomb to find Jesus risen. There was fear, at first, then there was hope, and probably tears of joy too. Even in death, Jesus is teaching us a lesson. Push through the fear because on the other side there is hope. There is also faith, comfort, and courage. The Lord our God is with us. Do not be afraid. RESOURCES | 365 “Do not be afraid” phrase in the Bible? Miley’s Scribblings has put together a great list here.